Design your own brand new iPhone 7 PLUS soft case. Pick a photo or pattern and we will print it for you. Protect your iPhone 7 PLUS in style with your own personalised phone case. 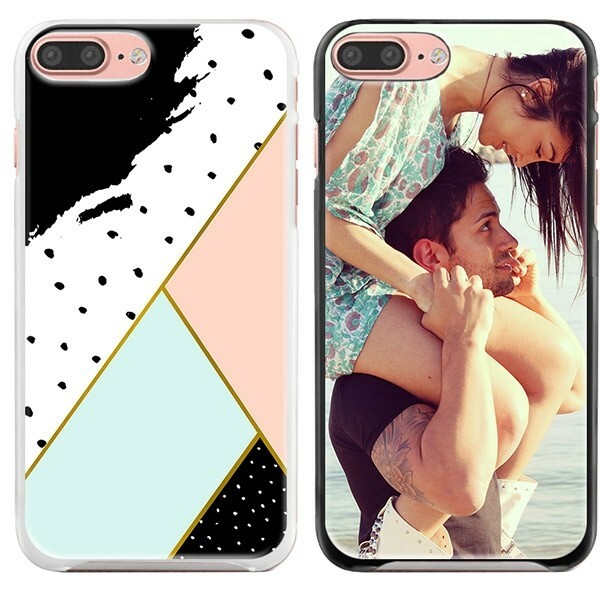 A stylish and personalised phone case for your iPhone 7 PLUS. The soft case for the iPhone 7 PLUS is totally flexible. The case gives your phone an extra protective layer, composed of silicon. This customised case offers your iPhone 7 PLUS a high level of protection from falling and impact damage due to its shock absorbing nature. The iPhone is known for its elegant design, which, of course, you want to show off. This soft case allows for a perfect fit on your iPhone 7 PLUS, which is very subtle, yet offers a lot of protection. It is always more fun when you can create your own personalised phone case, so go ahead and make your iPhone 7 PLUS unique with a photo or pattern and impress all your friends. 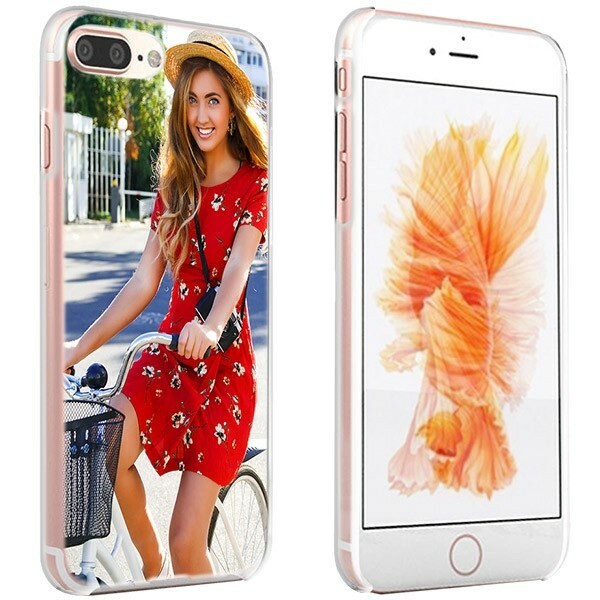 How do I get started making my unique phone case for the iPhone 7 PLUS? It's simple... For you to make your own custom case you need to start with the design module. Here you will be given the option to select a base colour for your device. The soft case comes in 3 base colours: black, white and transparent. Once selected, you can pick any photo you like, possibly from one of your devices or straight from your social media accounts, such as Facebook or Instagram. You also have other options such as a logo, text or any patterns you may like. There are many fonts and colours to choose from. Once uploaded you can resize, reshape and move the image around as you please. Enjoy! What happens when I finish making my personalised phone case? Click the order button and let us do our magic! 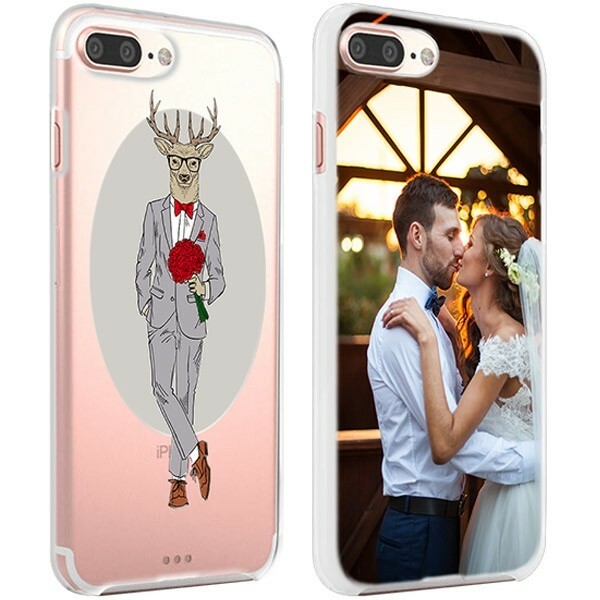 Our professionals will take your design and get started make your personalised phone case straight away. All our cases at GoCustomized are made specifically for the customer. Your case will be unique, 100% guaranteed. If we think the end result of your case will not be to your liking, we will contact you immediately with our recommendations. Your personalised iPhone 7 PLUS soft case will be on its way to you within 24 hours of purchase!